There is a way not to connect to NBN! If you don't use the internet at home then you don't need NBN. The suppliers are saying your phone will get cut off and everyone has to have NBN, which is simply not true. You can use your old handset , have a personal alarm system that can call friends, family and 000 (works in a power cut) and includes 400 hours of phone calls a year. Typical NBN a year is over $1000.00. The first year with this system is $499.00 with following years only $60.00. Impressive! Call 07 54456787 for more information on the CareAlert Gateway system and sto.. Secure hire equipment as soon as possible due to high demand over the Christmas period. Have you got elderly friends or relatives visiting over the Christmas holidays? If you need to hire bathroom, toilet or mobility aids for them, then avoid a last minute rush and book now. This is our busiest time of year and stocks do run out. Contact us on: 5445 6787 .. Despite road works, our Caloundra Showroom remains open! Due to road works in the street, many customers think our Caloundra Showroom is closed! This is incorrect, we are definitely open! We have parking out the back and our hours are Monday to Friday 9am - 4pm. Location: 2 First Avenue, Caloundra. Phone: 5438 2944 ..
Falls can happen to anyone, as you grow older falls can become more common and some cases you can seriously injure yourself. Follow these preventative measures to help avoid accidental falls and minimise injuries. Here is a solution which makes putting on compression stockings an easy process! Are you finding it difficult putting on compression stockings everyday? The Butler Stocking Aid is designed to make donning compression stockings an easy process and protects against tears and runs. Replacing mobility scooter batteries are expensive, here’s how to protect your investment. Every mobility scooter has 2 batteries and batteries aren’t cheap! The life of your batteries depends on your usage and how you recharge them, therefore it’s important that you understand how you should charge your batteries to suit your usage. What many people don’t realise is the importance of making sure your walker is at the right height for you. Adjusting the height of your wheelie walker is important for the right fit, comfort, and safety. Follow the steps below to ensure your walker is at the right height for you. Redeem '20% Off Rehab Equipment Purchases' offer. Just out of hospital? We have all the rehab equipment you need to assist your recovery. To redeem this offer click here. Offer expires 30th September 2016. Six reasons it might be time to get a mobility scooter into your life! Six reasons it might be time to get a mobility scooter into your life! Mobility scooters have transformed the lives of so many people who would otherwise have difficulties getting out and about. Toyota and the Segway inventor team up to relaunch the iBot 2.0. The iBot 2.0 wheelchair model is becoming more of a realistic possibility for both disabled and elderly people in need of a more versatile mode of transport. Exciting times ahead! Click to watch. Why can't Australia do something like this? Meet Humanitas, the Dutch old-folks home in Deventer where students can live for free if they agree to spend at least 30 hours a month socialising with the older residents. Click to watch. The importance of getting your mobility scooter serviced! A mobility scooter is a great investment and we know it plays and extremely important part of your daily living by giving you independence. Just like a car, your mobility scooter needs regular maintenance and annual servicing to make sure it is kept in good working order and always safe…. 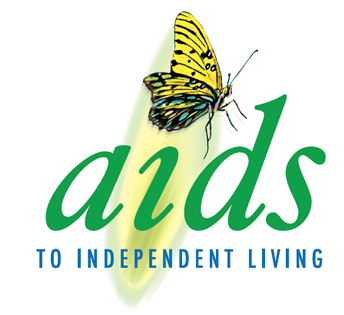 We are very proud to announce that Aids To Independent Living are now a preferred dealer with Allianz Global Assistance.